For many business owners, transportation is the lifeblood of the entire operation. It allows you to come to your customers, provide services wherever needed, and safely transport all necessary tools and equipment required to do the job right. Unfortunately, accidents on the roadways are far too common, and an accident with injuries puts your company in real financial jeopardy. Before you or your employees get behind the wheel, know with certainty that your business is protected from whoever or whatever is on the roads ahead. The only way to be truly secure is by turning to Koch Insurance Group to explore our complete selection of commercial auto insurance in Spring, TX. Company-owned vehicles that can be covered with a commercial auto policy range from cars and passenger vehicles to tow trucks and dump trucks. Specifics of each plan vary in scope and cost. However, the coverage of medical costs, repair costs, and legal expenses is significant. Unlike virtually every other aspect of your business, what happens on the road is largely out of your control. This doesn't only mean other drivers, but bad weather and poor road conditions as well. 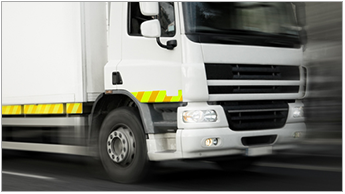 With commercial vehicle insurance, however, you take back some form of control by putting a policy in place to protect yourself when an accident occurs. By selecting the right auto insurance for your business, there's no longer a need to worry. While trucks are a staple for many types of businesses because of their large frame and versatility, they also cause the most amount of damage. Not only are they much larger than cars, trucks are also far heavier—especially with the addition of a haul, tools, equipment, and passengers. Larger size and greater mass makes for major damage to other vehicles around you. If you own a large vehicle this isn't on the list above but still needs insurance, chances are we have a policy to cover it. Reach out to one of our knowledgeable representatives to discuss your situation and explore what insurance options are available. Contact us today to protect your business from whatever is on those dangerous roads ahead. We're offering commercial vehicle insurance for businesses in all of Texas including Spring, The Woodlands, North Houston, Tomball, and Conroe, TX.